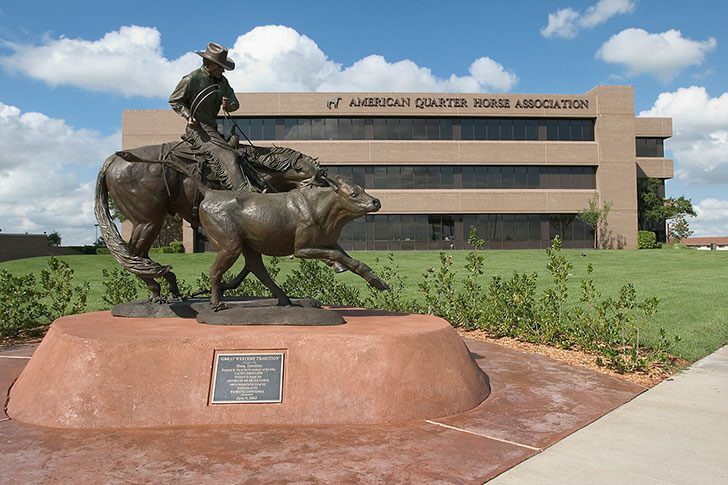 The AQHA UK insist that all registered quarter horse stallions used for breeding are Five Panel Tested. Although the US has brought in the mandatory testing of Stallions they have not, as yet, included the mares. However the UK Association strongly recommend that all breeding mares are tested before you begin your breeding programme. The extract below is from the US QH Journal and explains the diseases that are found within the quarter horse breed; at the end there is a link to purchase the genetic test. The lab that is used is in the US, no other testing laboratory can be used if you want to put the information on the your horse’s passport. These diseases cause pain and discomfort to the horse, as well as great emotional upset to owners, and are unfortunately accompanied by very large veterinary bills. Please read the information and have your horse tested if you think that it may be used for breeding in the future so that all relevant information can be readily available to any prospective purchasers. Anyone thinking of buying foals now is advised to look at the Five Panel Test of both parents. Genetic diseases cause emotional and financial pain for horse owners and breeders. To help breeders make informed decisions, AQHA now offers a panel test for five genetic diseases – glycogen branching enzyme deficiency, heredity equine regional dermal asthenia, hyperkalemic periodic paralysis, malignant hyperthermia and polysaccharide storage myopathy. When the test is ordered, AQHA will send a DNA kit, and the owner will mail it to the Veterinary Genetics Laboratory at the University of California-Davis for testing. Once the tests are complete, AQHA will notify the owners and put the results on the horse’s record and certificate of registration. The tests cost $85 for members and $130 for nonmembers at the present time but check for current prices. For the panel test in conjunction with the DNA test required for most breeding stock, the cost is $105 for members. The effects of these diseases are wide-ranging, from mild and manageable to severe and terminal. Passing these diseases on to successive generations often causes unnecessary suffering and also leads to financial losses for breeders. GBED: Glycogen Branching Enzyme Deficiency Disorder: An autosomal recessive disease caused by mutation in the GBE1 gene. Affects: Approximately 8-10 percent of American Quarter Horses; Paints can be carriers, as can Appaloosas and breeds that descend from the American Quarter Horse. An estimated 3 or more percent of second- and third-term abortions are caused by GBED. Description: The mutation of the GBE1 gene reduces the function of the glycogen branching enzyme so that cardiac and skeletal muscle, the liver and the brain cannot store and mobilize glycogen. Because glycogen provides energy to the muscles, the inability to properly store and mobilize it leads to muscle weakness and eventually death. GBED results in second- and third-term abortions and stillborn foals, and researchers think many aborted and stillborn foals whose cause of death was not previously identified might have had GBED. Foals that survive to birth generally die or are euthanized within 8 weeks of age. Although a few foals have survived to the age of 4 months, GBED is always fatal. HERDA: Hereditary Equine Regional Dermal Asthenia Disorder: An autosomal recessive disease caused by mutation in the peptidyl-prolyl isomerase B (PPIB) gene. Affects: Approximately 3.5 percent of American Quarter Horses are carriers. Description: Collagen makes up connective tissues (skin, bones, tissue, muscles and cartilage). The mutation in the PPIB gene results in defective collagen that causes the outer layer of the skin to split from the layer underneath. In some cases, the outer layer of the skin sloughs off entirely, leaving raw wounds. Young horses with HERDA might appear to have an unusual number of nicks and cuts on their skin, but the disease is most often noticed when the horse starts training under saddle. The pressure of the saddle on the back causes the skin to tear and separate, leaving raw areas. These areas are slow to heal, and many horses with HERDA are euthanized due to slow-healing injuries. HYPP: Hyperkalemic Periodic Paralysis Disorder: An autosomal dominant disease caused by point mutation in the SCN4A gene. Affects: Approximately 1.5 percent of all Quarter Horses and as many as 56 percent of all halter horses. Description: The mutation in the sodium channel gene causes dysfunction in a specific type of sodium ion channel. These channels are involved in generating electrical impulses associated with muscle contraction. The mutation disrupts the proper conduction of these impulses, causing muscle tremors and even temporarily paralysis in affected horses. In severe cases, HYPP can cause collapse or sudden death. HYPP traces back to the stallion Impressive. HYPP was seen in Impressive’s sons and daughters because to be expressed, the disease does not require two copies of the defective gene. However, successive generations of offspring that received two defective genes often show more severe versions of the disease. MH: Malignant Hyperthermia Disorder: An autosomal dominant disease caused by mutation in the ryanodine receptor 1 (RYR1). Affects: American Quarter Horses and several other breeds; the percentage of affected horses is unknown. Description: The mutation results in a malfunctioning calcium-release channel of the sarcoplasmic reticulum in skeletal muscle. The malfunction causes excessive calcium to be released into the myoplasm (the contractile part of a muscle cell). This can cause a hypermetabolic state (increased metabolism) and may result in death. MH is triggered by the use of the anaesthetic halothane, the muscle relaxant succinylcholine and stress. Affected horses experience increased muscle metabolism, fever often exceeding 109 degrees F, excessive sweating, high heart rate, abnormal heart rhythm, shallow breathing, hypertension, muscle rigidity, breakdown of muscle tissue, muscle protein in the urine and/or death. PSSM: Polysaccharide Storage Myopathy Disorder: An autosomal dominant disease caused by mutation in the glycogen synthase 1 (GYS1) gene. Affects: Eleven percent of American Quarter Horses. PSSM also affects many other breeds.